The Russian authorities have set up three territories of accelerated development (TAD) in the country’s Far East, which provide a special tax regime for businesses. The government plans to launch nine such TADs. Asian and Australian investors, such as Samsung, Baoli Bitumina and JGC have expressed interest in these zones. Russian Prime Minister Dmitry Medvedev officially launched the first three territories of accelerated development (TAD) on June 26. All three areas, which have a special tax regime for businesses, are located in the Russian Far East. The Khabarovsk and Komsomolskaya TADs are in the Khabarovsk Territory, while the Nadezhdinskaya is in Primorye. The government is looking at investments to the tune of $620 million, $210 million and $120 million in the Khabarovsk, Komsomolskay and Nadezhdinskaya TADs respectively. The Khabarovsk TAD will create 3,000 jobs in metallurgy, transport and logistics. Over 3,000 jobs in aircraft manufacturing will be available in the Komsomolskaya area, while a further 1,600 jobs will be created in the Nadezhdinskaya TAD in transport and logistics, as well as in the food processing industry. Investors in TADs will receive tax breaks for 5 to 10 years, Ivan Tonkikh, the head of Direct Investments Department of Ministry for Development of Russian Far East, said at the 5th ‘rASiA’ International Innovation Forum that was held in Moscow on June 22. Companies that set up shop in the TADs will have to pay reduced customs duties and will be entitled to a preferential income tax and value added tax (VAT) regime. "The ministry’s goal is to build an ecosystem for new investors,” Tonkikh said. Earlier this year, the government approved another six TADs, which will be launched in the Far East soon. These zones will come up in Primorye, Chukotka, Kamchatka, Yakutia and the Amur Region. According to Tonkikh, there are a few anchor investors already working in each TAD. They are all Russian companies, but the ministry is in talks with 10 foreign investors at the moment. Australia’s Tigers Realm Coal Ltd. (TIG) is planning to invest in the development of the Bering coal basin at the upcoming Beringovskaya TAD. Japanese company JGC Evergreen has already invested $35 million in a greenhouse complex to in the Khabarovsk TAD. Another Japanese investor, Sojitz intends to build an international terminal at the Khabarovsk airport. 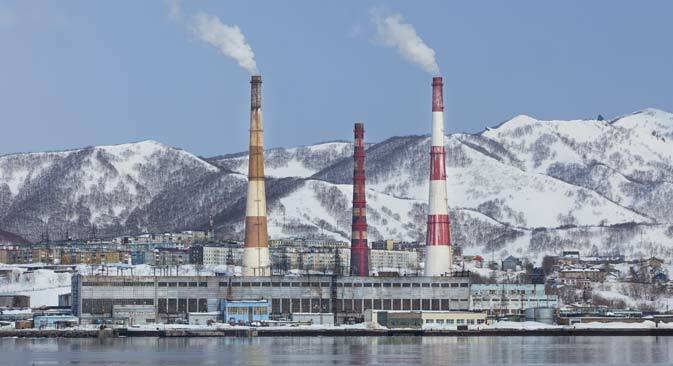 Singapore’s Baoli Bitumina confirmed its intention to invest in the Khabarovsk TOD and build a high-tech plant for the production of bitumen. The company also plans to invest in the Kangalassy TAD in Yakutia and in the Predmostovaya TAD in the Amur Region. According to Tonkikh, the ministry is ready to sign an investment agreement worth $100 million with Baoli by September 2015. A Samsung unit that is engaged in the assembly of automotive technologies will also become a resident of one of the TADs with a $5 million investment. “We expect that by the end of the year, there will be at least 5 foreign companies among the residents. We expect to see the full list of approved investors and a final work plan in 2 to 3 years,” Tonkikh said. Russia would like to use the TADs to make its Far Eastern regions a transport and logistics hub. “We can offer logistics solutions to China, Japan and Korea, all of which have space constraints,” Aleksey Chekunov, the head of the Far East Fund said at the ‘rASiA' forum. The success of the TADs program fully depends on the development of logistics and distribution facilities, participants at the forum said. Vladimir Markov, Chief Executive of Technonikol, a company that manufactures waterproofing and insulating materials, says transportation is the biggest problem in the region. “You can only sell products in Kamchatka if you manage to deliver them cheaply in the summer,” Markov said. He added that the thinly populated Russian Far East is a small market, as the vast region has a population of less than 7 million. “The only way to profitability is to export to China,” Markov said, adding that more trade routes needed to be developed to the country.